The health prospects of people with learning disabilities could be improved if more use was made of medical testing technology which is carried out close to where the patient is receiving care, a North East study has found. The study, conducted by researchers at the University of Sunderland on behalf of NHS England, evaluated whether the use of Point of Care Testing (POCT) could improve access to healthcare and treatment for people with a learning disability. People with learning disabilities have a significantly lower life expectancy than the general population and are at higher risk of certain diseases including diabetes, hearing loss, cardiovascular disease and obesity. Hearing screening can also be completed quickly and successfully using POCT via automatic handheld machines. Information about the outer, middle and inner ear can be collected within a couple of minutes, without any response needed from the person taking part. There are growing concerns about the health of those with learning disabilities described by one nurse in the study as being at “a different crisis level”. Whilst the North East and Cumbria are delivering the national annual Learning Disability Health Check above the national rate, improvement is still needed to maximise its potential. There is cultural apathy towards hearing loss, understanding of their symptoms and recognised anxieties about health interventions, in particular needle tests, which prevented this ‘vulnerable’ group from seeking treatment. 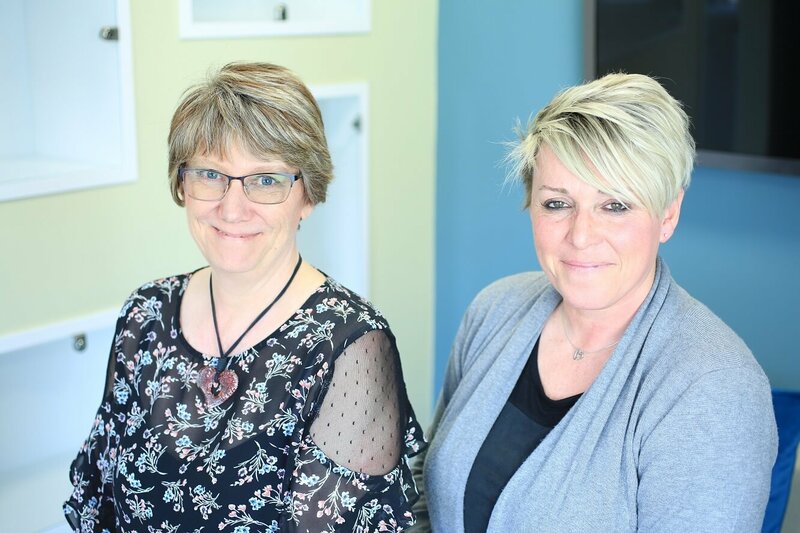 Lead researcher Karen Giles Principal Lecturer at the University’s Faculty of Health Sciences and Wellbeing, commented: “The main aim, and benefit of POCT is to bring the test conveniently and immediately to the patient. This increases the likelihood of getting the results quicker, enabling clinicians to support the timely diagnosis, monitoring and treatment of patients. “Our study, a collaborative initiative across health, social care and higher education, has generated key strategies that can inform a best practice model for POCT to be adopted for people with learning disabilities, and has identified specific adjustments that would be needed to run successfully. A key finding was the potential positive role of POCT in supporting people who are anxious about needles. Following the research findings, a series of pop-up clinics in local resource centres at Fulwell and Washington, were run in collaboration with the Health Promotion Team, which promotes health and wellbeing for people with a learning disability. The clinics were attended by 20 volunteer adults with a learning disability, who took part in a briefing session held at the centres they attend, followed by a health screening a week later done in a relaxed environment with people that they knew, and getting feedback from the screening straight away. Ashley Murphy, Learning Disability and Autism Primary Care Programme Manager for Sunderland CCG and Northumberland Tyne and Wear NHS Trust, worked alongside the University and organised the pop-up clinics. She said: “It was clear that our organisations had a lot skills that we could bring together on this project. The University had all of the latest equipment, which supported training needs for our non-clinical staff involved in learning disabilities, who could then participate in POCT. 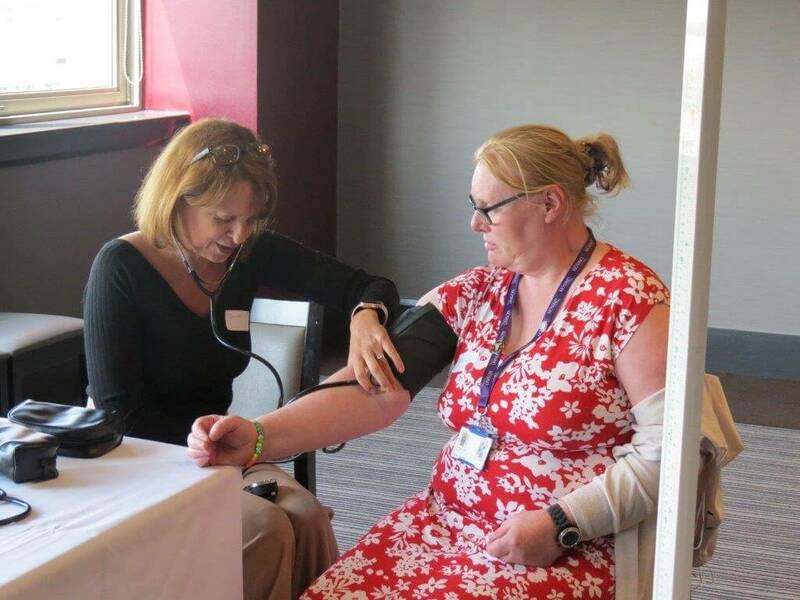 “It’s vital that patients have access to the right treatment, and our pop-up clinic was the appropriate setting as we were treating people who had the capacity to engage with staff, they were really positive and excited about it which was fantastic. A practical guide for anyone looking to implement using point of care testing for people with a learning disability, has now been generated from the research findings and tested by the pop-up clinics. Further studies are recommended to explore who is responsible for its availability and adoption, particularly in primary care. The above quote also highlights a possibility of further assumptions made that the service users will not tolerate screening tests or any help/treatment provided if a problem is found. This relates back to the cultural value placed on the health of people with learning disability that emerges as a barrier to screening tests in numerous other ways. - POCT is also known as near patient testing or in vitro diagnostics (IVD). - POCT is the ability to undertake certain laboratory tests near or at the point of the patient. - POCT tests can be biochemistry, haematology or molecular based. - POCT technology is also available for other diagnostic or screening purposes including hearing loss assessment, and can be used by non-scientists. - Emerging new technologies and further miniaturization developments are enabling an increased range of testing, further reducing the degree of invasiveness for sampling with a greater number of devices offering alternatives to venipuncture. - Benefits include faster clinical decision - impacting on length of stay, improved self-care management.